I invented the Practice Bow in 1993. Of the 3 bow factors (point of contact, speed and weight), I think controlling a precise sounding point is the most difficult to master. The Practice Bow teaches the player to guide the bow in a parallel path to the bridge. 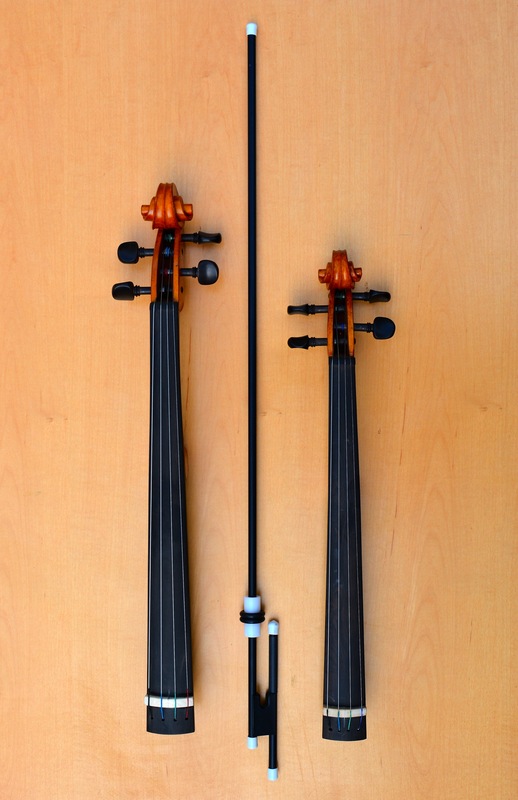 To achieve the best sound, string players must learn to draw a smooth straight bow while maintaining a precise sounding point and the Practice Bow effortlessly isolates this motion. It can even be used without instrument! The lightweight bow, made of anodized aluminum, glides smoothly through a precisely manufactured cylinder that is attached to the string by two O rings centered over a groove. The Practice Bow is available in 5 different sizes. A few years later, I invented a portable device to isolate and practice motions in the left hand, the Fingerboard. The Fingerboard is great for keeping your left hand strong and flexible and can be used almost anywhere. Without the instrument body, it is small, portable, lightweight yet sturdy and you can carry it easily in a backpack, a bag or pack it in a suitcase. It is convenient to use while reading, watching TV, talking on the phone or surfing the internet and is perfect for road and plane trips, vacations, camping, etc. when you don’t want to take your actual violin or viola out of its case. Using the Fingerboard I easily add hours of practice a day without taking away from learning new music and rehearsing. Using the Fingerboard has helped me improve my left hand strength and flexibility and helped maintain muscle tone and fingertip calluses. 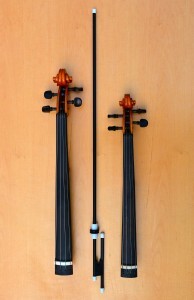 The Fingerboard is handcrafted by a luthier in China and is available for full size violin and viola.